It’s here! Our second edition of the new Getting to the Root video series. 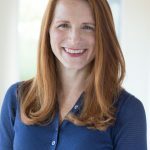 In this collection of short videos, our very own Dr. Elizabeth Boham and Physician Assistant Kristin Boyt will explore hot topics around health that our UltraWellness Center patients ask about the most. In this episode, they dive into perimenopause. Women often come to the UWC for help managing their symptoms associated with perimenopause. Some of them are aware hormonal changes are starting to take place, while others can’t quite put their finger on why they feel different. Premenopausal: A woman is still experiencing normal monthly menses. Menopausal: A woman has not had her monthly cycle for at least a year. This typically occurs between ages 45 and 55. Perimenopause: This is the time in between the above phases. A woman’s hormones are starting to shift and can greatly vary during this time, which means some months she may ovulate and menstruate and other months she will not. Many symptoms can arise during perimenopause, which can last for up to ten years in some women. As with anything else, symptoms can be drastically different from woman to woman. Some common ones are irritability, new onset of anxiety or depression, memory loss, changes in weight and metabolism, headaches without previous history, and hot flashes or night sweats. One of Kristin’s current patients was having symptoms for months without knowing the cause, until night sweats provided her with the “aha” moment that her hormones were changing. It can be frustrating to not feel like yourself and not know why. 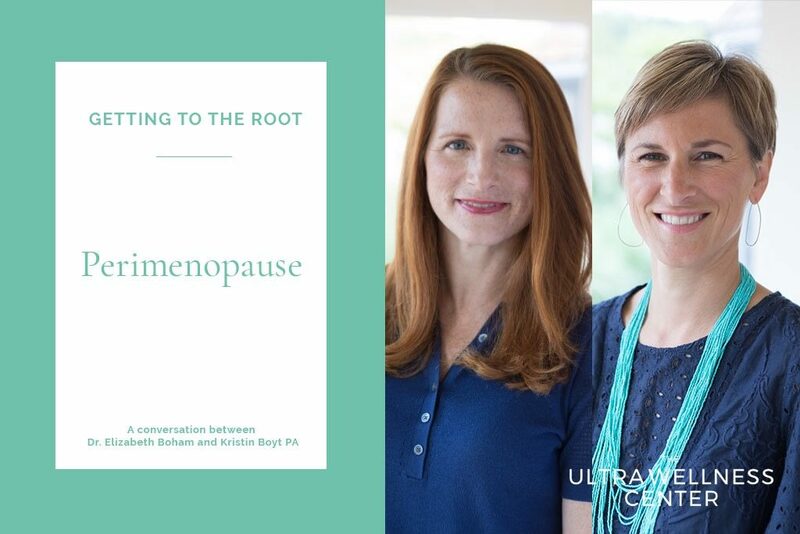 Dr. Boham and Liz provide a helpful understanding of hormones and the changes that occur with perimenopause so that you can have an informed conversation with your own physician and get to the root of your own symptoms. We know you’ll love this valuable episode of Getting to the Root, be sure to check it out.